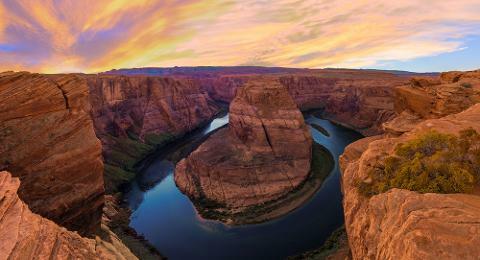 Daily departures from Las Vegas to the world famous Antelope Canyon and Horseshoe Bend. 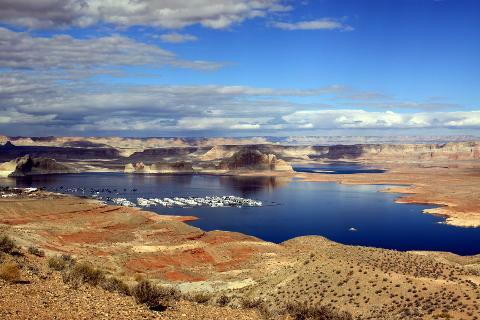 The scenic drive from Las Vegas offers unforgettable views of the Virgin River Gorge and the Escalante/Grand Staircase National Monument and 80 mile views across the Colorado Plateau. 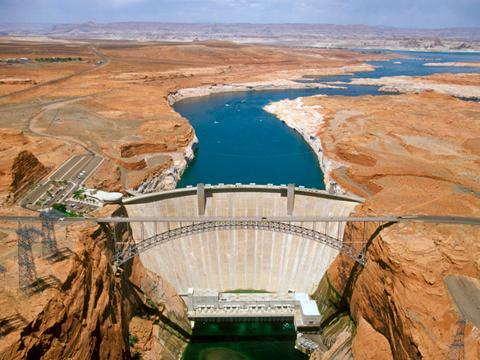 While in Page, Arizona, guests will also have views of Lake Powell and the Glen Canyon Dam, from the tour coach. 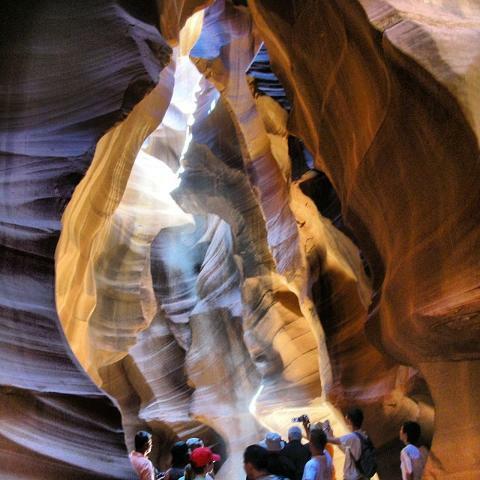 Antelope Canyon offers amazing photo opportunities between sculpted sandstone walls with a walkable corridor at the bottom of the canyon floor. It was formed by flash flood waters that rushed into the cracks of the Navajo sandstone along with the power of wind erosion. With the penetration of daylight through the narrow opening from the top different kinds of light reflections and colors can be seen and enjoyed. This amazing color makes this area a popular location for photographers and tourists. From the canyon, we visit an area where the Colorado River made a 280 degree turn around the Horseshoe Bend shape of rock. Guests will walk 1.5 miles roundtrip to reach an overlook that is 1000 feet above the curve of the clear, green Colorado River. Tour arrives back in Las Vegas around 7:30-8pm. 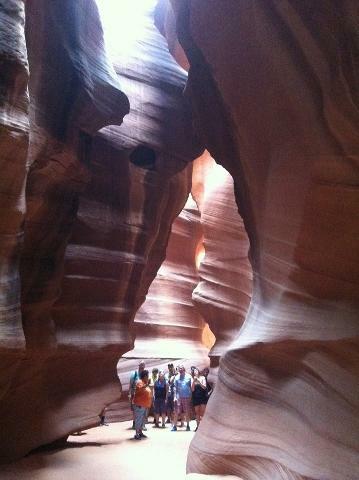 **Upper Antelope Admission: $47 tour fee +$8 Navajo Permit fee per adult / $25 tour fee + $8 Navajo Permit fee per child (for age 12 and under). Children age 13 or older are same with adult ticket price.